DigitalOptometrics is looking for optometrists who are licensed in New York to work as remote providers for clinics offering telehealth eye exams. We also continue to take names of those interested in being a part of our network for every state in the US. DigitalOptometrics is working with various equipment manufacturers to integrate our technology with established clinics. 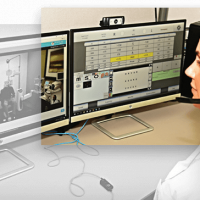 Providers may choose to purchase a new lane for remote exams in order to more cost effectively grow a practice. Alternatively, providers may use some of the equipment that already exists in each office and integrate it with DigitalOptometrics system. 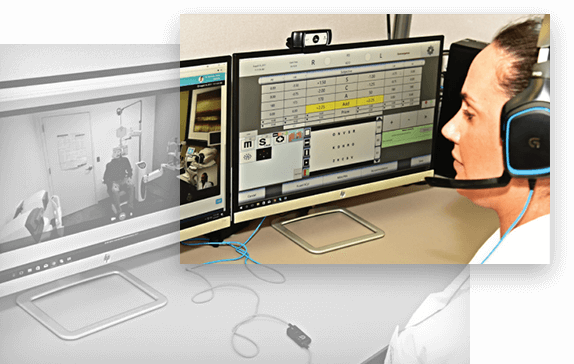 Data gathering is done in the clinic by a technician, manifest refractions are done remotely by DigitalOptometrics technicians, a remote optometrist reviews the findings and goes live with the patient to finalize and refer when necessary.